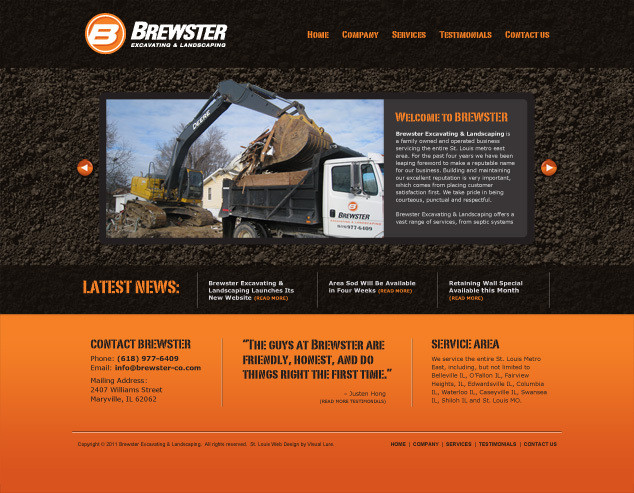 Visual Lure was recently contracted to design a new website for Brewster Excavating & Landscaping. The new website will be built in WordPress using a custom built WordPress theme. Here is a sneak peek at our proposed home page design. Check back soon for the official launch.